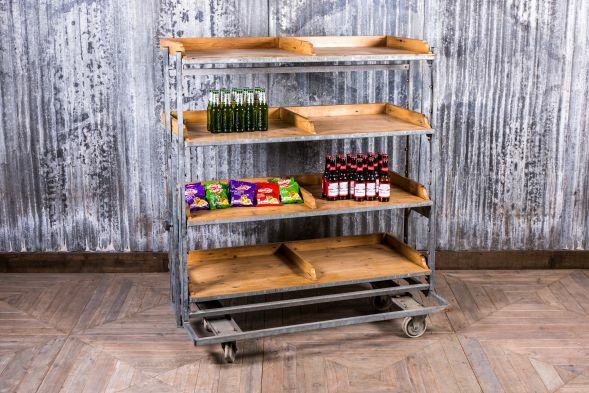 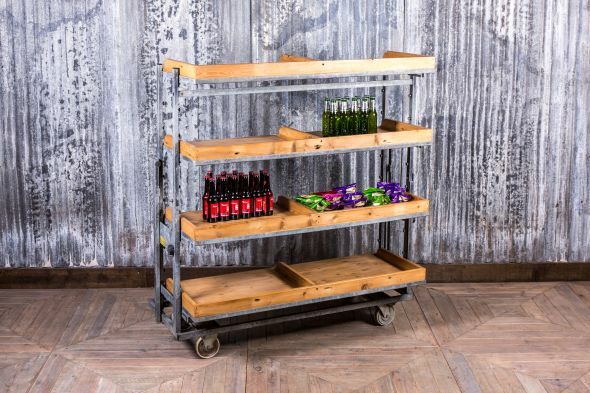 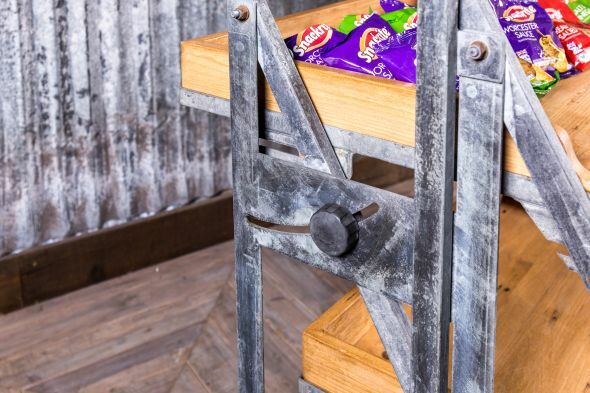 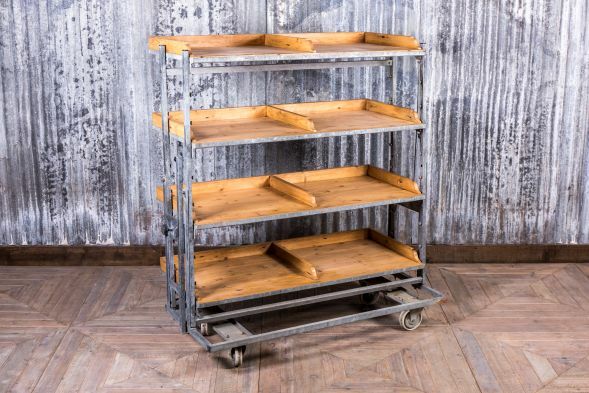 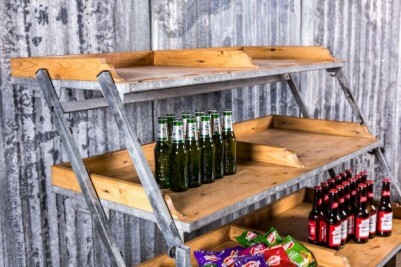 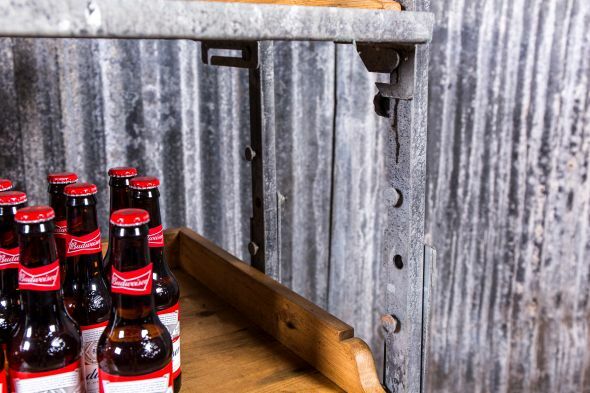 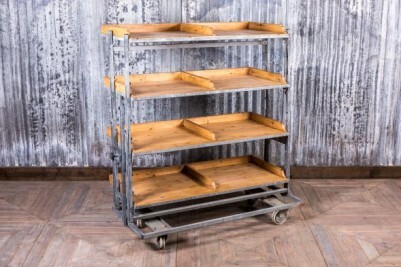 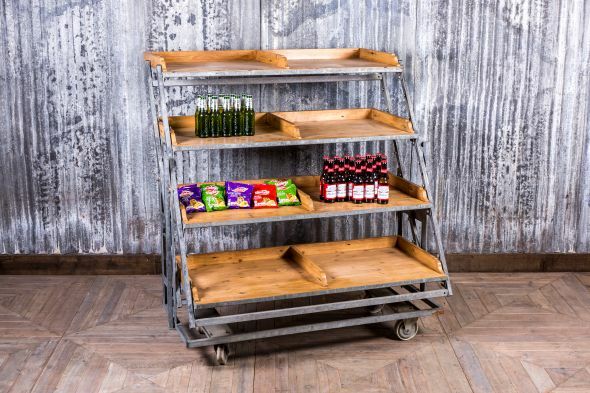 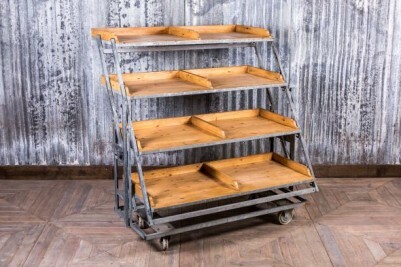 Versatile, vintage display shelves, which can be used in a retail shop, bar or restaurant. 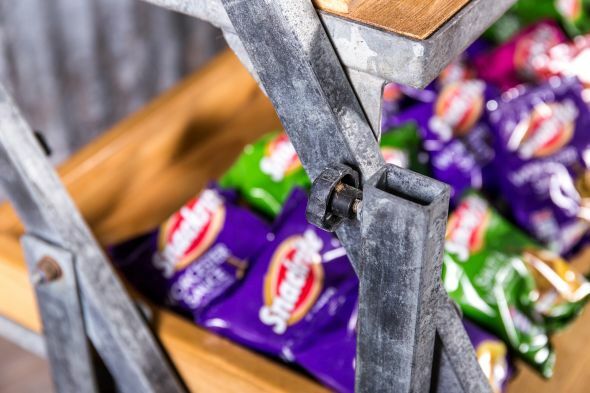 bags in a vintage store. Wheels are also fitted making the trolley even more practical and easy to move around. 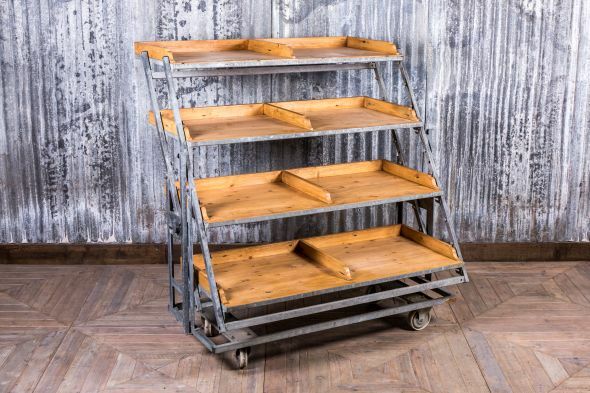 With only some minor signs of wear and tear, this product is in lovely condition for its age.